Pianist, conductor and pedagogue, his interpretations have been well received and highly praised by the critics. He has given recitals, chamber music concerts and with orchestra in several countries all over Europe and America: Spain, France, Italy, Portugal, Germany, Great Britain, Belgium, Luxembourg, Hungary, Russia, Ireland, Cuba, Colombia, Peru, Chile, Bolivia, Costa Rica, Nicaragua, Venezuela, Uruguay and Brazil. He has also been invited to international festivals to perform in concert halls such as the Palau de la Música Catalana, the concert hall of the RTV in Luxembourg, the Glinka Concert Hall of the Philarmonia of St Petersburg and the Gran Teatro in La Havana, among others. 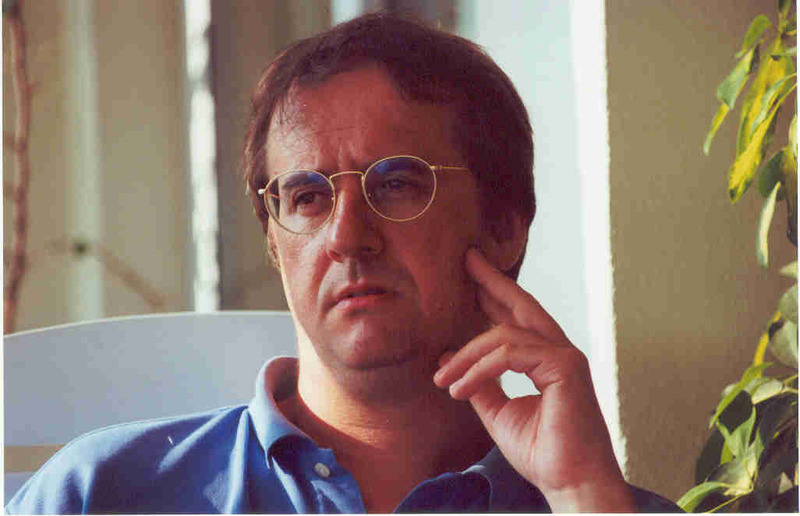 He has carried out productions for several media: Canal Clásico on Digital Plus, Radio Nacional de España on Radio 2 and Radio 4, Catalunya Ràdio, St Petersburg Radio, TVE, TV3 in Catalonia, Canal 13 on the Costa Rica TV, Canal 7 on the Peru TV and channels 4, 10 and 13 in Uruguay. He is a founding member and the conductor of the Barcino Ensemble. He has recorded a varied discographical production which includes piano recitals and collaborations with other performers, from which those with the flutist Bernat Castillejo and with the Lieder Càmera choir stand out. Lecturer at the Higher School of Music of Catalonia (Escola Superior de Música de Catalunya), he is regularly invited to give seminars and conferences in several conservatories and universities in Europe and America: the Rimsky Korsakov Conservatory in St Petersburg, Escuela de las Artes of the Universidad Nacional de Costa Rica, Conservatorio Superior in Montevideo, Higher School in Rio de Janeiro, etc. He has also been invited as a member of the jury in national and international piano contests: "Ricard Viñes" Contest, "Jóvenes Intérpretes de Catalunya", Central American International Contest "María Clara Cullell", etc. When he was a student and after obtaining first prize in several contests, he was selected as the Spanish representative for the "First Meeting of Young Performers of Europe" which was held in 1985. He studied at the Barcelona Higher Conservatory (Conservatori Superior de Barcelona,), at the Franz Liszt Academy in Budapest and at the Hochschule für Musik Würzburg, where he obtained the Masterklassen Diplom, being honoured by the Wagner Foundation in Munich. La mà de Guido (1996). Piano: Adolf Pla. La mà de Guido (1998). Artistic collaboration with Bernat Castillejo (CD awarded by the Fundació Caixa de Sabadell). La mà de Guido (2000). Piece for ten soloists based on the Caprichos by Goya by Ricard Lamote de Grignon, Barcino Ensemble. Conductor: Adolf Pla. Ars Harmònica (2000). Works by Haydn, Schubert, Wolf, Reger, Bartók, Debussy… for chamber choir and piano. Coral Lieder Càmera / Adolf Pla. Conductor: Josep Vila. Ars Harmònica (2001). Works by Cases, Guzmán, Brotons, Balsach, Casablancas, Guix, Pladevall, Vila, Estapé, Capellas and Garcia Morante. Piano: Adolf Pla, Jordi Masó and Manuel Garcia Morante / Voices: Marta Fiol, Irene Martínez, Montserrat Torruella, Ángels Busquets and Josep Pieres. Double bass: Jonathan Camps. First sheet music of the works for piano by Frederic Mompou. Poems by Miquel Desclot set to music by Josep Vila Casañas. Combining Spanish sultriness and French perfume, the piano works of Federico Mompou have a languid poetry in Cants Magics and child-like purity in Scenes d'Enfants. A minor composer Mompou may be, but he is hard to resist. The notes quote him as saying "it is important to study the quality of the sound that lies between the notes". He also believes that playing "note by note" rather than "phrase by phrase" gets to "the secret font of emotion". Adolf Pla enacts this philosophy in performances of exceptional care, probity, and intimacy, aided by round, rich piano sound. Margaret Barela admired Anita Pontremoli's recent Mompou album on Centaur (J/F 2003) but wished for more "contrast" and less grayness. Although subtlety is his forte, Pla offers plenty of tonal variety within Mompou's supremely civilized limitations. He has a seductive gentleness just right for this aesthetic. Pianista i director, les seves interpretacions han estat recollides per la crítica amb els millors elogis. El 1985 i després d’obtenir diversos primers premis d’interpretació és escollit el representant espanyol al "I Encuentro de Jóvenes Intérpretes de Europa". Des d’aleshores ha anat oferint recitals, concerts de música de cambra i amb orquestres a Espanya, França, Itàlia, Portugal, Alemanya, Anglaterra, Bèlgica, Luxemburg, Hongria, Rússia, Irlanda, Cuba, Colòmbia, Perú, Xile, Bolívia, El Salvador, Costa Rica, Panamà, Nicaragua, Venezuela, Uruguai y Brasil, convidat en Festivals Internacionals per actuar en auditoris com el Palau de la Música Catalana, l´auditori de la RTV de Luxemburg, la Sala Glinka de la Philarmonia de San Petersburg, el Gran Teatro de La Habana, Centro de Belem a Lisboa, Auditorio Nacional de Costa Rica, entre altres. Té una variada producció discogràfica i ha realitzat també produccions per ràdio i TV en diversos països europeus i americans. A Espanya es pot destacar la realitzada el 2001 amb el flautista Bernat Castillejo per el Canal Clásico Digital amb difusió per via satèl·lit a Amèrica.